I created another project – it’s a tea shop. Named Hopeinen tee. 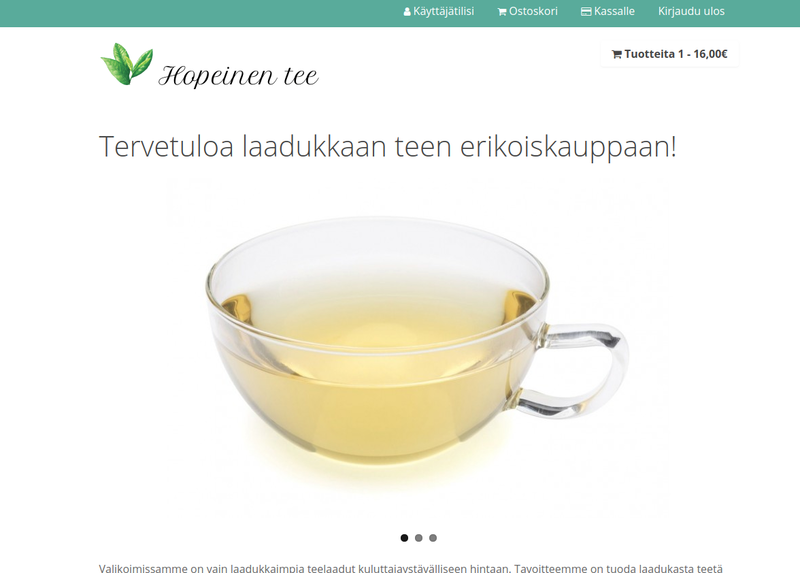 It sells tea only in Finland at the moment. But it’s good tea.